There is only one guide that gives you complete details, photographs and current values of U.S. currency, and this is that book! 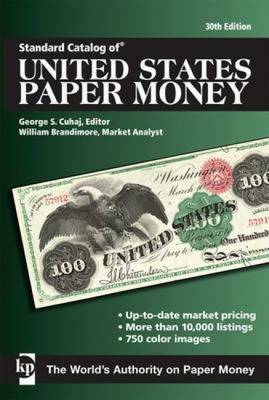 Packed with 750 color photos of notes and more than 10,000 listings for U.S. paper money issued between 1812 and the present, no other book can compare to the comprehensiveness of this guide. Among the notes represented in this book are: * Large and small currency * Silver and gold certificates * National bank notes by state * Pre-Civil War Treasury notes * Fractional currency and military payment certificates * Encased postage stamps Put the 30th edition of this popular paper money book to use for you. You and your collection will be better for it.